Our company has been buying and selling slaughter animals and livestock as well as importing swine for over 45 years. Our company manages the purchase, the transport and the sale of the animals. All transactions will be carried out efficiently and we guarantee fast payment. Venneker Polska Sp. z o.o. was established in 2014. 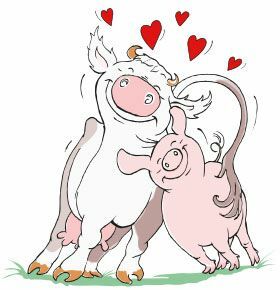 Our company is a subsidiary of a German enterprise Viehhandel Josef Venneker which has been buying and selling slaughter animals and livestock as well as importing swine for over 45 years. We offer not only the purchase and the sale but also the transport of swine and livestock in Europe. Together with our trusted partners from Denmark we import the suckling pigs. In 2012 and we also engaged in fertilizer trade. Our clients can always rely on our expertise and consulting in reference to animal husbandry, sale and slaughter of imported pigs. Currently Venneker Polska is developing the purchase and the sale of porkers. We are doing our best to meet our clients’ expectations! Personalised customer service is our priority. Our qualified sales representatives in Germany and in Poland are always at your disposal. They will gladly advise you as far as the purchase of piglets and the sale of swine are concerned. They have extensive experience in importing suckling pigs from Denmark and in buying and selling porcine livestock. We offer our customers a wide range of services. What distinguishes us is flexibility while dealing with our customers' needs and requests as well as the ability to provide services in limited amount of time. We provide a safe and humanitarian transport of animals. Our customers can also use a crediting option to buy the piglets. t.
Our fleet consists of 80 vehicles equipped with state-of-the-art automotive technology and serviced in our own garage. All our drivers have necessary licenses required for drivers and persons.